Tasman National Park is home to towering sea cliffs, beautiful wildflowers, lush rainforest and an array of trails waiting to be explored. With the holiday season in full swing, I recently walked the Mount Fortescue circuit with family. This 17km, six hour circuit walk is a great way to experience the Tasman National Park and get a small taste of the world-renowned Three Capes Track experience without the cost. The Mount Fortescue circuit is a relatively easy walk considering the distance, as over half of the circuit follows the Three Capes Track. The walk commences around 200m from the Fortescue Bay car park and follows the old Cape Pillar track gently uphill through forest and heathlands with an amazing array of wildflowers until meeting the Three Capes Track near Retakunna Hut. From the hut, it is a steady uphill climb to the 482m summit of Mount Fortescue. This is a beautiful area with lush tree ferns and towering eucalypts shrouded in mist, more characteristic of the state's west. 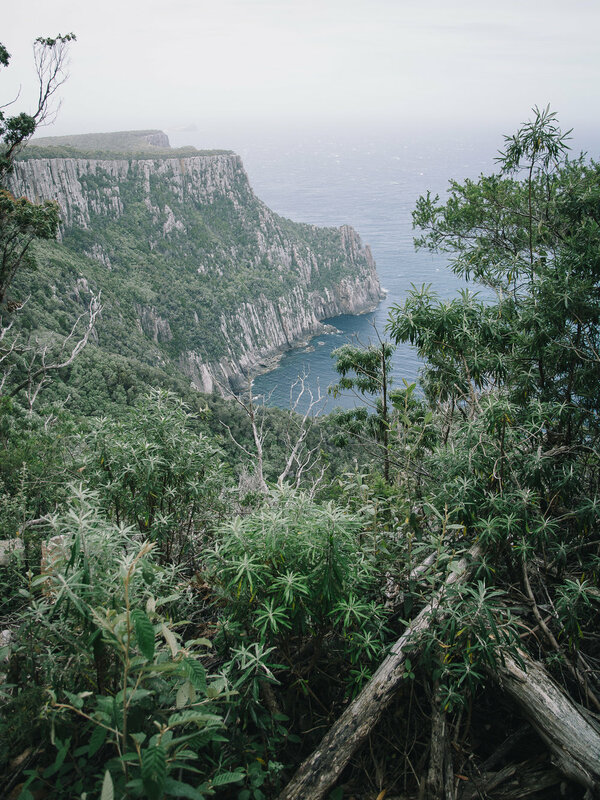 When the cloud and sea fog lifted, it revealed some of the most spectacular ocean views I've ever seen - the towering dolerite cliffs of this area are genuinely spectacular, and are made even more so by the lush vegetation that frames these vistas. The trail continues along the coastline, passing the junction to Cape Hauy before meandering toward Fortescue Bay, a sheltered inlet home to one of the best little beaches in Tasmania, and the place we started the circuit six hours earlier. This is one of the best day walks on the Tasman Peninsula, and I would recommend it alongside Cape Raoul to anyone looking for a longer day walk with some variety. Note: The circuit must be walked anti-clockwise, as it follows a one-way section of the Three Capes Track.